More correctly known as tisanes, herbal teas are delcious and often healthy drinks that are easy to make at home. Explore recipes for herbal teas like chamomile, sage, ginger and mint with this guide to making herbal tea. Fresh mint is so easy to grow that, once you start, you'll probably have a hard time using all of it. 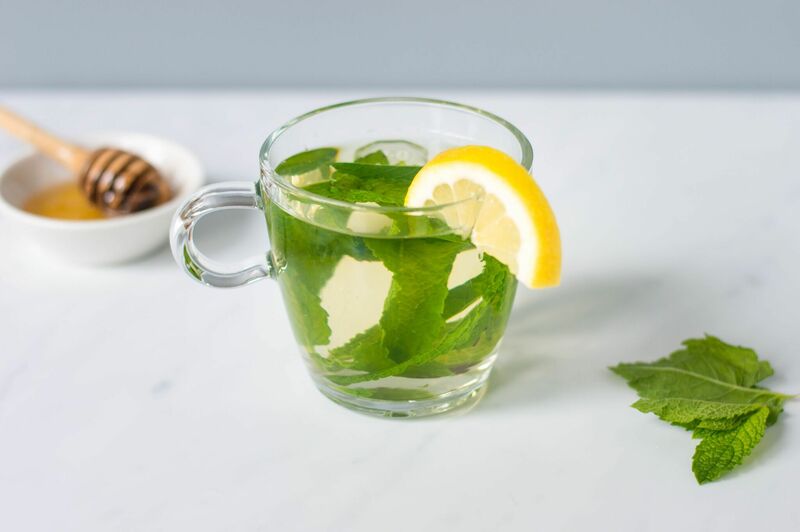 This easy recipe for caffeine-free mint tea is a great way to use up your fresh mint leaves. It can be served hot or over ice, and it is a naturally reviving drink during extreme weather. There are many health benefits associated with mint, including digestive benefits, elimination of toxins and cleansing the blood. Sage is a gentle herb with herbaceous flavor and many health benefits. This sage tea recipe is heightened with the addition of lemon rind, lemon juice and just a bit of sugar. It's great hot or iced. Peppermint is blended with fennel seeds and lemon balm in this unusual twist on mint herbal infusions. Try this herbal tea recipe to soothe the mind and body. Bay leaves aren't just for soups! This Caribbean drink recipe uses them for flavor and as folk medicine. I recommend making bay leaf 'tea' without milk or sugar for taste and health reasons. Not so much a recipe as a guide, this article outlines tips for making herbal teas from fresh or dried herbs. Are Caffeine Levels Different in Teabags and Loose-Leaf Tea?